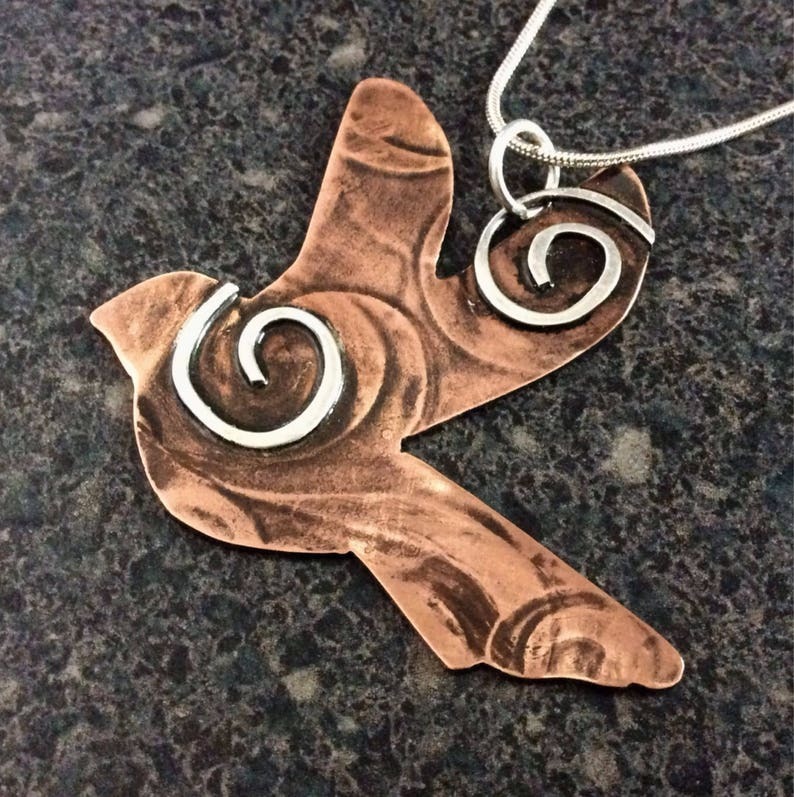 TRIBAL DOVE unisex rustic copper and sterling silver pendant. This totem animal has been completely crafted by hand making this a one of a kind. This copper Spirit Dove was embossed with a flowing swirl pattern, carefully followed with heavy sterling silver highlights and finally antiqued and polished to enhance her overall look and feel. This earthy tribal dove was finished with a sealant to protect the finish. She is finished with a silver chain. This TRIBAL DOVE totem pendant comes professionally tagged and boxed - perfect for gift giving! Looking for custom work or unique pieces for your shop or gallery? Please convo me, I would be happy to discuss! All items designed and created by myself -- copyright truform jewelry design.